An advocacy organization the Information Technology and Innovation Foundation has filed a petition with the U.S. FDA to prohibit the use of specific labeling on consumer foods and goods indicating that products are derived from non-GMO ingredients. In support of the petition, the Foundation cites the National Academy of Sciences and other scientific organizations that have found no deleterious effects from consumption of ingredients and food derived from GMO technology. 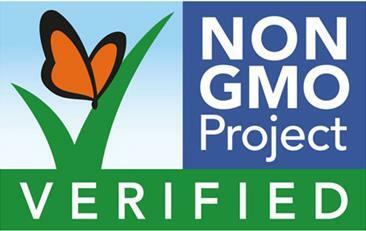 The Foundation also points out that the Non-GMO Project butterfly logo is applied to many products for which there are no bioengineered counterparts. It is anticipated that the Non-GMO Project which has benefited financially from selling their logo will contest the petition since it strikes at the heart of their business which is based on a foundation of unfounded fear and anxiety. The Safe and Accurate Food Labeling Act of 2015 introduced by Representative Mike Pompeo (R-KS) was reintroduced into the House of Representatives and allows for voluntary labeling as to GMO content. The Bill had the support of the Grocery Manufacturers Association which led to disaffection by a number of member companies favoring “fresh and natural” including Campbell Soup Company under the leadership of now displaced CEO Denise Morrison. The Bill was also supported by many commodity groups including the American Soybean Association and the International Dairy Foods Association. Opposition to the petition and presumably to the current FDA petition will be based on the canard of the “public right to know”.